Heavy alcohol drinking habits over the years may prematurely age arteries, especially in men, putting them at an increased risk for heart disease, new research has warned. Drinking too much can affect the elasticity of the arterial walls (arterial stiffness) and prematurely age the arteries, interfering with blood flow, said researchers at University College London in the UK. They found that male former drinkers were at risk for accelerated rates of arterial stiffness compared with moderate drinkers who were in early old age. This observation was not found in females, although the study of 3,869 participants was 73 per cent male. The findings, which looked at alcohol drinking habits over a 25-year period, support previous research on moderate alcohol consumption and its association with reduced risk for cardiovascular disease. Participants ranged in age at the initial alcohol assessment from their 30s to their 50s, with statistical adjustment made for age (amongst other characteristics) in the study’s analyses, and anyone with a history of heart disease were excluded from the study. Few of the participants were current smokers, however 68 per cent of the men and 74 per cent of women failed to meet recommended weekly exercise guidelines. Among both men and women, one in 10 had Type 2 diabetes. 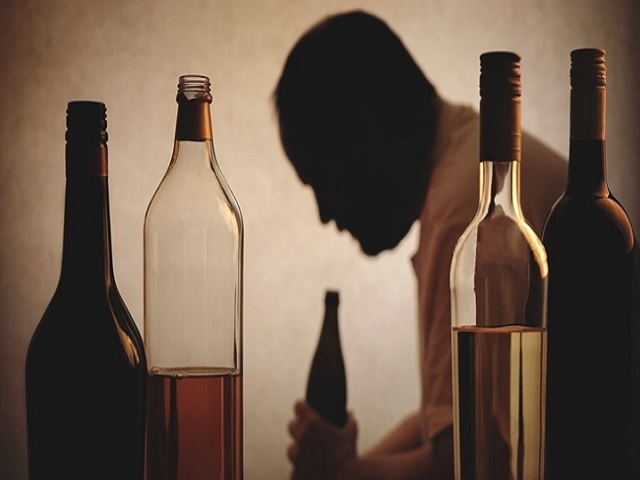 Men were more likely to be heavy drinkers compared with women; however, there were twice as many stable nondrinkers and former drinkers among the women than the men. Researchers compared data about participants’ alcohol consumption with carotid-femoral pulse wave artery velocity (PWV) measurements, or pulse waves between the main arteries found in the neck and thigh. The greater the velocity, the stiffer the artery, researchers said. Consistent long-term, heavy drinking was defined in the study as more than 112 grammes of ethanol per week (roughly equivalent to one serving of alcoholic spirit, half a pint of beer, or half a glass of wine); consistent moderate drinking was 1-112 grammes of ethanol per week. The American Heart Association defines moderate alcohol consumption as an average of one to two drinks per day for men, and one drink per day for women. Cardiovascular disease remains the leading cause of death worldwide, contributing to nearly one-third of deaths, researchers said. How alcohol may impact arterial health is unclear, said Darragh O’Neill, researcher at University College London. “It’s been suggested alcohol intake may increase high-density lipoprotein cholesterol levels – the good cholesterol – or decrease platelet stickiness. Conversely, heavier alcohol intake may activate certain enzymes that would lead to collagen accumulation, which could, in turn exacerbate the rate of arterial stiffening,” said O’Neill. The study was published in the Journal of the American Heart Association.